We're all sf today, people, beginning with the news on our beloved Tom Hiddleston who might work with director Ben Wheatley again after the bizarre and mildly boring High Rise on another adaptation - HARD BOILED! Based on Frank Miller and Geof Darrow comic book the action movie would follow an insurance investigator Carl Seltz, who learns that he’s really a homicidal cyborg tax collector codenamed Nixon. A fellow robot informs him that he’s the last hope for their race to escape their programmed slavery. After he is finished Resident Evil franchise, Paul W.S. Anderson is looking to turn MONSTER HUNTER video game into another sf movie saga! For every Monster, there is a Hero. An ordinary man in a dead end job discovers that he is actually the descendant of an ancient hero. 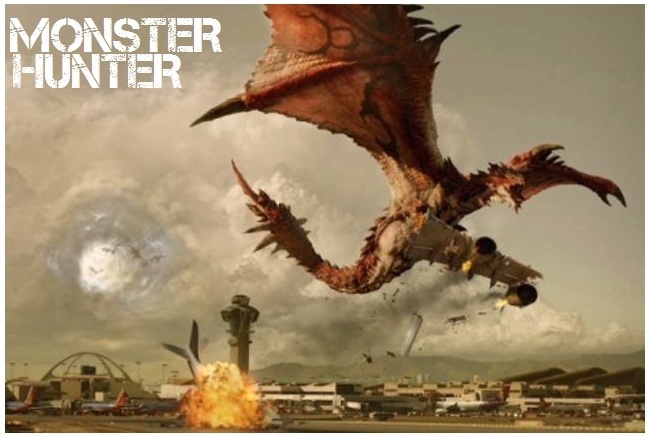 He must travel to a mystical world to train to become a Monster Hunter, before the mythical creatures from that world destroy ours. 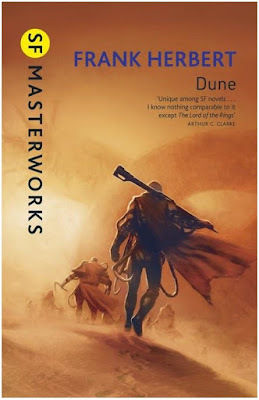 But probably the most important sf news of the day is that Legendary has secured movie and TV rights on Frank Herbert's classic sf saga DUNE and is looking to make not just a movie but also a TV series out of it! Set in the distant future, DUNE tells the story of Paul Atreides whose family accepts control of the desert planet Arrakis. As the only producer of a highly valuable resource, control of Arrakis is highly contested among the noble families. After Paul and his family are betrayed, the story explores themes of politics, religion, and man's relationship to nature as Paul leads a rebellion to restore his family's control of Arrakis. 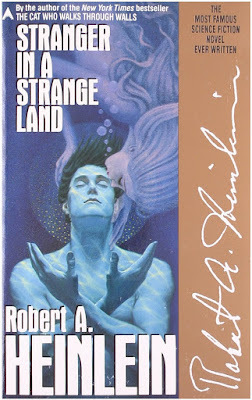 That is not the only sf classic that will be turned into a sf TV series since 'Deadline' reports Robert A. Heinlein's STRANGER IN A STRANGE LAND will be turned into a series for SyFy! It tells the story of Valentine Michael Smith, a human who comes to Earth in early adulthood after being born on the planet Mars and raised by Martians. The novel explores his interaction with, and eventual transformation of, terrestrial culture. It predicted many of the movements and messages of the 1960’s – from free love and hippie communes, to organized attempts at world peace. 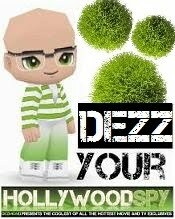 Don't know if they should be messing ewith classics! I would've thought Stranger would be a tad dated by now. Hopefully they'll adjust it for the modern audience. Well, I certainly picked a good day to return to the blogosphere . . . Hellooooooo, Our Tom! it is almost as if he knew! Well, at least you have a yummy Tom pic up, otherwise, I'm skipping all this sci-fi today. I can take it in small doses, but sadly, none of these sound like my cuppa tea. Yay for Sci-fi day! Hopefully these adaptations will turn out to be good ones.